Tony Blair could be sued by IRA victims over allegations he helped Colonel Gaddafi avoid paying compensation for Libyan-backed atrocities. Lawyers acting for around 200 people claim the former prime minister and government officials “connived” with the Libyan leader to block payments which would have compensated UK victims for Semtex-inflicted injuries. During the Troubles, Col Gaddafi supplied a significant amount of weapons and Semtex explosive to the IRA. killing off the UK victims’ class action for damages in a “scandalous and perverse” move. In an email obtained by the Sunday Telegraph, former UK ambassador to Libya Sir Vincent Fean appears to suggest a deal between Blair and Gaddafi that secured the US payouts, while ending hopes of a resolution in the UK. The email suggests the former PM helped to broker an agreement between Col Gaddafi and the then US President George W Bush. The lawyers are also demanding to know whether Sir Vincent “misled” MPs and peers over government involvement in the case. Jason McCue of McCue & Partners, which is representing around 200 British victims of IRA Semtex attacks, said the disclosure could form the basis for legal action in the UK. compensation from the Libyans,” he said. 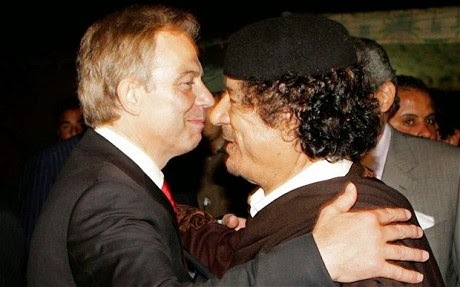 The email in question was written by Sir Vincent to Mr Blair’s aides in June 2008 – two days before a meeting between the former prime minister and Col Gaddafi in Libya. The note described how Mr Blair had approached President Bush on Gaddafi’s behalf following an American court ruling that the proceeds of Libyan business deals could be seized to compensate victims of a Libyan terrorist attack. 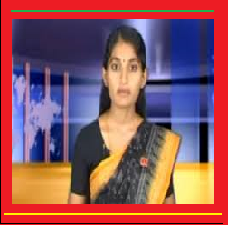 However, a spokeswoman for Mr Blair said there was no evidence to suggest the former prime minister had intervened in the compensation case. “This persistent attempt, backed by no evidence whatever, to suggest that Tony Blair ‘interfered’ with the terms of compensation is malicious and wrong,” she said. “He has never had anything to do with it and he has never discussed any such terms with President Bush. A Foreign Office spokesman said: “The government believes compensation claims are best pursued directly with the Libyan government through private campaigns. Enniskillen poppy day bomb survivor Stephen Gault has called the failure of the UK government to secure compensation from Libya a “betrayal”. Mr Gault, whose father Samuel was one of 12 people who died as a result of the 1987 atrocity, described it as one of the “world’s worst Libyan-sponsored Semtex IRA atrocities”.